Japan has a level of obsession when it comes to food that’s unlike anywhere else in the world. To the Japanese, food is serious business and a lot goes into preparing, presenting, eating and appreciating it. In 2013, the United Nations Education, Scientific and Cultural Organisation (UNESCO) added “Washoku”, traditional Japanese cuisine, to its Intangible Cultural Heritage list to preserve this way of eating. It was the second national cuisine honoured, after French food. A great deal of thought goes into every bit of Japanese food preparation and presentation. Chefs consider dozens of seasons (that’s right – there’s more than four!) and carefully select ingredients that are presenting their prime flavour. Tasting these flavours connects Japanese eaters with years past. Working with top quality ingredients, Japanese chefs try to do as little to the food as possible to bring out the colour and flavour. Many foods are seared, boiled or eaten raw and minimally seasoned. Umami is enhanced by using ingredients like miso, soy sauce, mushrooms, seaweed and bonito flakes. When foods are fried, the batter is thin and absorbs very little oil. Keen to try your hand at cooking like the Japanese? For an all-encompassing staple cookbook, Japanese Cooking: A Simple Art will teach you everything you need to know. Written over 25 years ago by Shizuo Tsuji, it remains a captivating guide to Japanese food and food culture. Sections are divided by technique – simmered, grilled, pickled etc – rather than ingredient, an important insight into how Japanese cuisine works. For the classic, traditional chef, Japanese Soul Cooking offers a collection of comforting dishes eaten across Japan. Created by Tadashi Ono (of Maison O in New York) and food writer Harris Salat, chapters are organised by dish, each with a basic master recipe followed by several variations. Most of the food is simple home cooking, rich enough to fulfill wintertime cravings. For the family cook, Washoku, Recipes from the Japanese Home Kitchen translates Japanese cuisine to an English-speaking audience. If your knowledge of Japanese cuisine is limited to sushi, ramen and teriyaki, you’re in need of this book. “Washoku” literally means the “harmony of food”. It’s a way of thinking about food and how it can nourish us. The first part of the book delves deep into this way of thinking, along with a section of techniques and ingredients. It’s not a book packed with recipes, but it is a book that will help you understand Japanese cuisine and how to prepare it at home. If you consider yourself a bit of an expert chef, then Hashi: A Japanese Cookery Course is for you. Written by professional cooking instructor Reiko Hashimoto, the book is organised in the exact way her classes are. There’s an exceptional sushi and sashimi section and Reiko’s informative descriptions are captivating and colourful. Packed full of recipes, this book will keep you going for years worth of Japanese meals. Start with the easy salmon carpaccio with sour cream and wasabi garnish or the beef tataki with a creamy sesame sauce. Yum! For the busy, on-the-go chef, The Just Bento Cookbook is a must-have. Created by Makiko Itoh (who’s been blogging about bento since 2007), it champions the bento as a tool for healthy, delicious and affordable eating. One look at this book and your lunches will never be the same again. Lovingly assembled, each bento employs a 1:1:2 carb:protein:vegetable ratio, making sure you get a balanced meal. If you’re new to Japanese cuisine and you’re not quite sure where to start, Japanese Cooking Made Simple is a great beginner’s cookbook. Recipes are plentiful, simple, and don’t require a great deal of effort. Providing basic techniques, the recipes in this cookbook unlock your potential to prepare delicious, authentic Japanese meals from ingredients you can find in your local grocery store. Sushi and bento boxes will become a staple in your house, as will ramen, tempura and green tea ice cream. 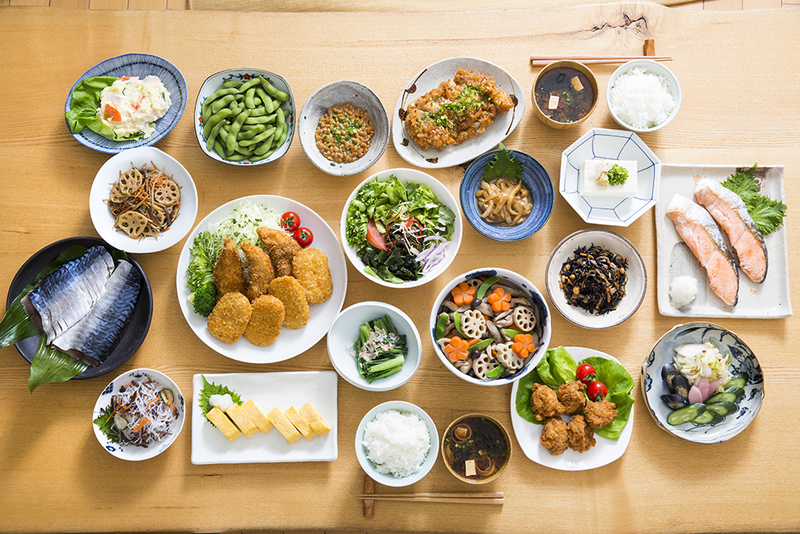 If you’re looking at Japanese cuisine as a way to lose weight, Cook Japan, Stay Slim Live Longer explores the benefits of the low-fat, high-protein Japanese diet. The 100 well thought out and healthy recipes have easy-to-follow instructions and vary from basic to complex in preparation difficulty. Master these recipes to enjoy the slim physique and long lifespan the Japanese are famous for. If you’re a vegan or vegetarian, you’ll love Kansha: Celebrating Japan’s Vegan and Vegetarian Traditions. An expression of gratitude for nature’s gifts, this cookbook looks at the spirit of kansa, deeply rooted in Buddhist philosophy and practice, and offers more than 100 recipes carefully crafted for vegans. Writer Elizabeth Andoh explains that “nothing goes to waste in the kansha kitchen” and as such you can expect to use every little part of every ingredient – a fascinating way to cook. If you love nothing more than to be in the kitchen cooking, Everyday Harumi is the cookbook for you. Written by Japan’s most famous cookbook writer, it offers Harumi Kurihara’s favourite home-style recipes. The cookbook serves to demonstrate just how simple Japanese cuisine can be to make, and how it can be eaten at any occasion. Arranged by her favourite ingredients, Harumi presents recipes for soups, starters, snacks, party dishes, main courses and family feasts. If you’re a meat lover, you can’t go past The Japanese Grill. Packed with fast and easy recipes that pack a flavour punch, it will have you grilling traditional favourites like yakitori, kaki onigiri and whole salt-packed fish, as well as amazing steaks, pork chops, salmon, tomatoes and whole chicken. Whether you’re a grilling novice or a devotee, you’ll love everything about this book. Your friends will too when you invite them over to experience your new grilling skills in full force. There’s so much more to Japanese food than raw fish, sticky rice and meaty broths. Getting yourself a collection of Japanese cookbooks will allow you to discover the true variety and depth of Japanese cooking. If you need a taste test of how it’s done by the pros, pop in and see us at Kobe Jones and try something new from our extensive menus. 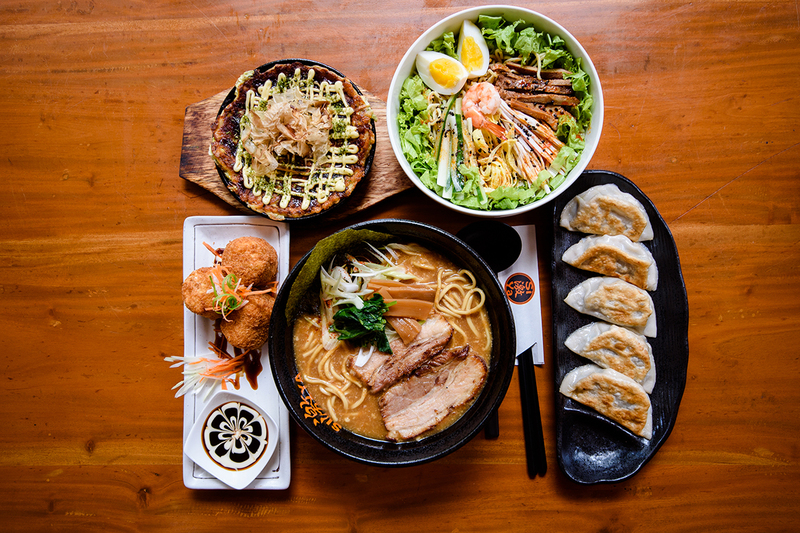 Push the boundaries of what you know and discover just how great Japanese food can be!